GRACE offers two unique spaces for rent, the main space “Grace’s Room” and the intimate “Tasting Lounge”. The main room is the perfect setting for private or corporate events both seated and cocktail style. Custom draping allows for on-site ceremonies or breakout areas within the room and the floor plan provides versatile configuration options. The space is equipped with AV and dimmable lighting, and features a 24ft statement wall, providing the ability to customize your décor or include impactful branding with endless design possibilities. A private hosting space, a Breakout room or an extension of the party… the tasting lounge is available for business meetings, tastings, small seated dinners or cocktail parties, photoshoots and more. Add the tasting lounge to Grace’s Room rental as a breakout room, bridal suit, green room, backstage space or just to expand your event. 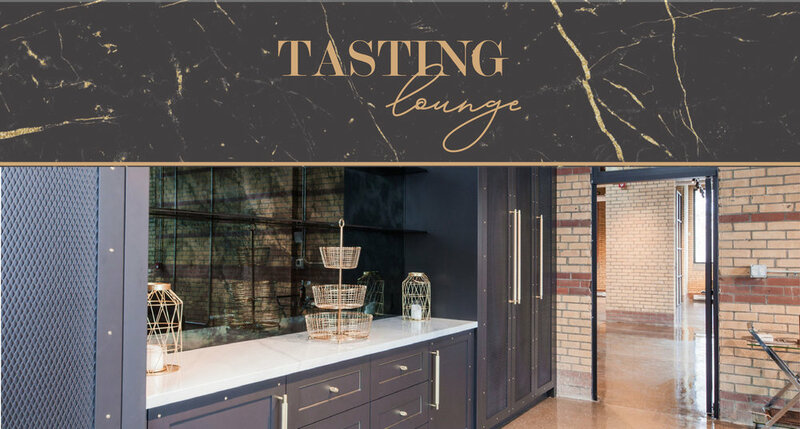 The tasting lounge is equipped with AV, and includes a custom millwork wet bar, cozy lounge area, large windows with natural light and an impressive live-edge wood boardroom table with seating for 12.